This entry was posted in Announcements, CCM Division, Events, Faculty, Presentations and tagged Al Larsen, CCM Division, Champlain College, Creative Media, Event, Feverish World, Presentation, Quintron, Weather Warlock on September 19, 2018 by Rosalynne Whitaker-Heck. 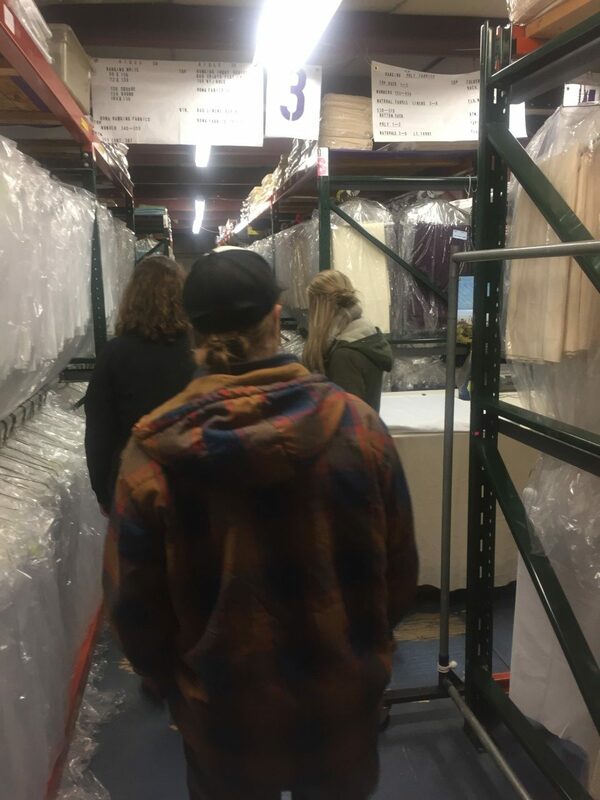 Five Champlain College students took a behind-the-scenes tour of the Vermont Tent Company on Wednesday, Feb. 1 courtesy of Mike Lubas, one of the company’s owners. The students are minoring in Event Management, which is now offered in the Division of Communication and Creative Media (CCM). 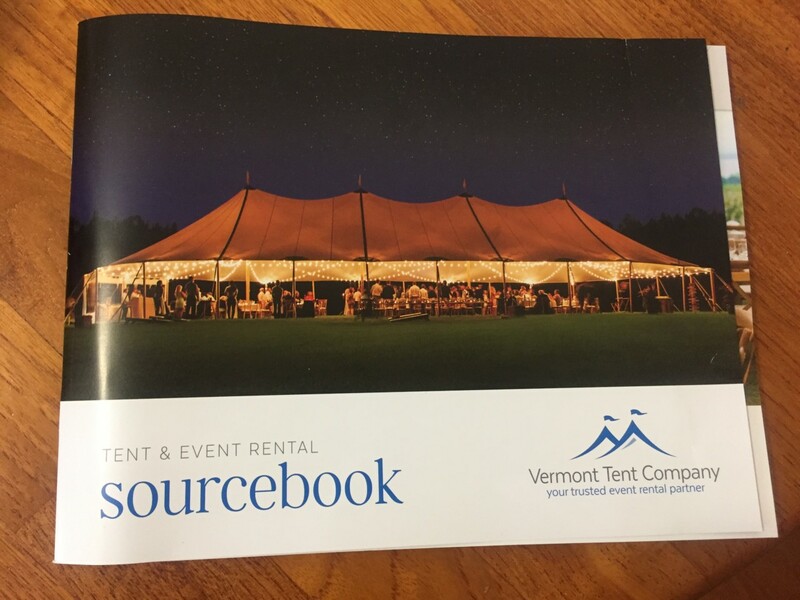 The award-winning Vermont Tent Company is one of the largest event rental facilities in the state of Vermont. The visit included a tour of the company’s showroom that was filled with displays of decorative table settings, china, glassware, farm tables, centerpieces, and assorted linen; the tent warehouse where rented tents of various shapes and sizes are stored, cleaned and repaired – the largest being 30 feet wide by 250 feet long; the washroom where thousands of flatware, china, and stemware are cleaned by a conveyor belt washing system; and a linen loft that houses several hundred table covers, runners, and overlays in various colors and textures. 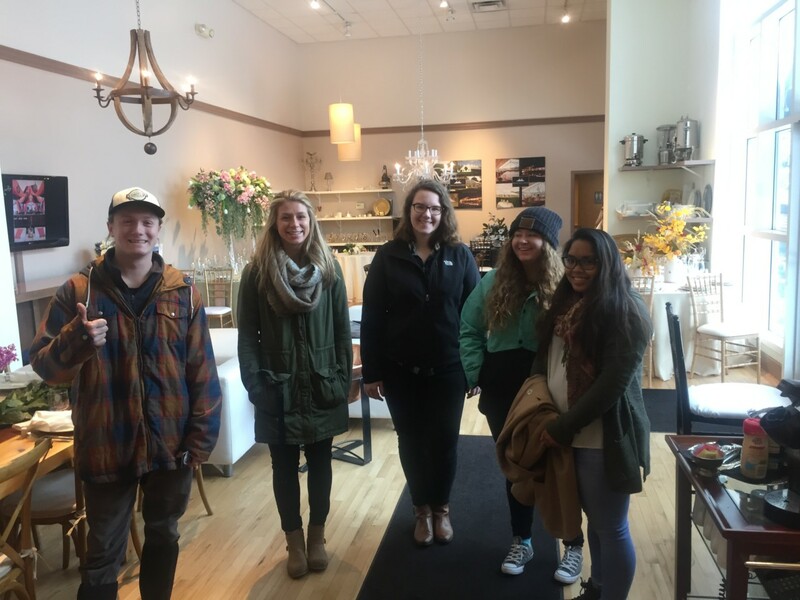 Event Management students in the showroom at the Vermont Tent Company: Will Ralston, Emily LaPlume, Nicole Glidden, Emileigh Durrell and Mariel Larmand. 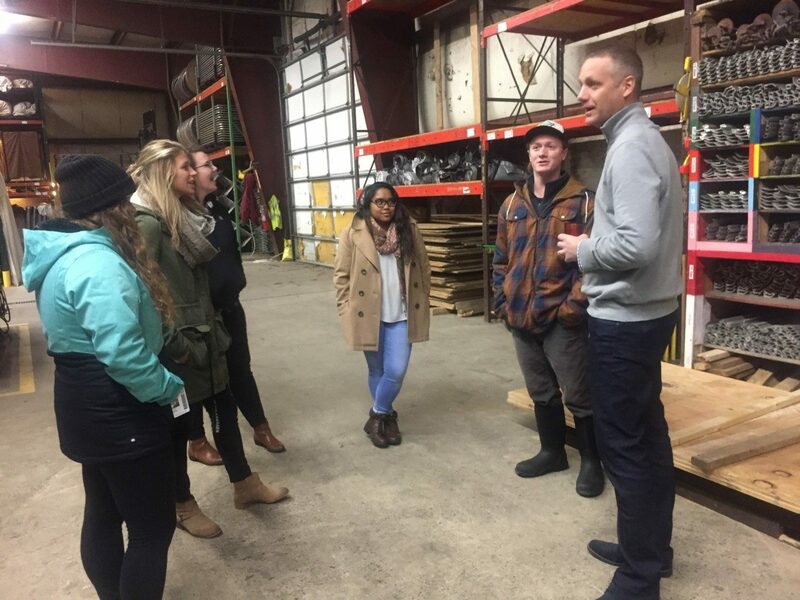 Of course Dr. Roz and students had to take a selfie at the Vermont Tent Company! 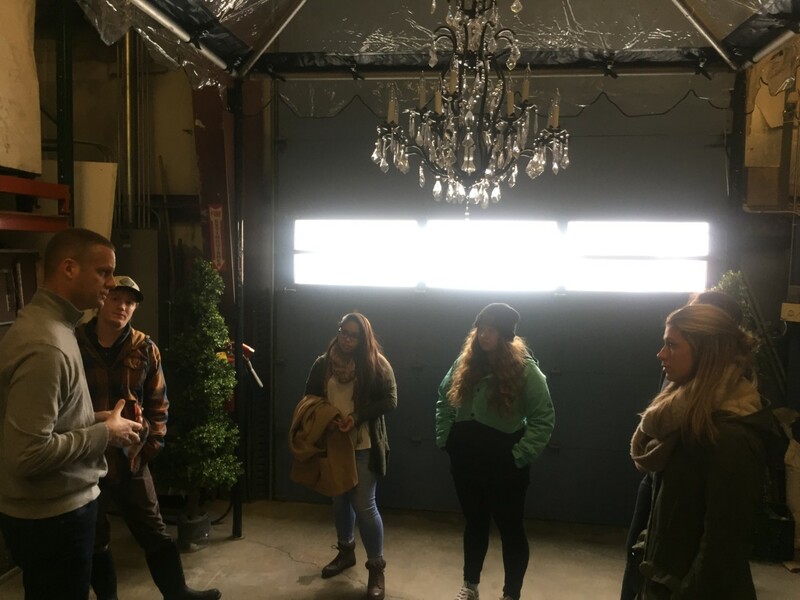 The tour was arranged by Dr. Roz Whitaker-Heck, CCM associate dean for administration and instructor for the Event Management Planning & Coordination course. 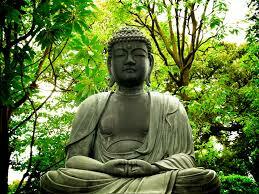 The students will apply the knowledge gained from the visit for an event planning final project. This entry was posted in Students and tagged achievement, CCM, core, Creative Media, Event, Presentation, Public Relations, research in religious studies conference, student, undergraduate on April 30, 2016 by Kiera Hufford. 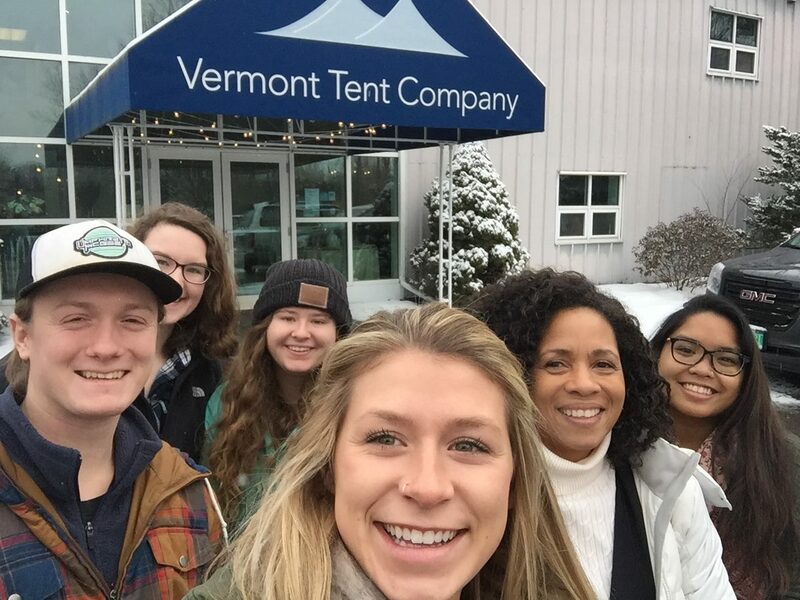 This entry was posted in Events and tagged CCM, Champlain, dream act, Event, Film, office of diversity and inclusion, office of international education, screening on April 3, 2016 by Kiera Hufford. This entry was posted in Events and tagged 3d printing, CCM, Champlain, collaborative media hub, EMC, Event, MakerLab, modeling on March 25, 2016 by Kiera Hufford. This entry was posted in Events and tagged champlain abroad, Event, Film, Montreal, plastic, polution, screening, ted lesson, vagabond on March 24, 2016 by Kiera Hufford. This entry was posted in Announcements, Events and tagged big maker series, biomechanical, Burlington Generator, CCM, co-sponsor, david sengeh, Design, engineering, Event, prosthetics, speaker on February 24, 2016 by Kiera Hufford. This entry was posted in Students and tagged announcements, Broadcast Media Production, CCM, Event, news, station, Streaming Media, Students, visit on February 20, 2016 by Kiera Hufford. Greg LoPiccolo, project director at Boston-based Harmonix Music Systems, will discuss game design, interaction design, and music on Monday, February 15, at 3:30 pm in the Champlain Room in the Center for Communication and Creative Media. Harmonix Music Systems has been advancing the state of music games for the last 20 years. 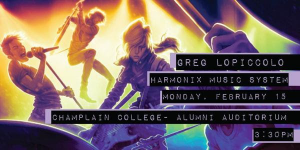 LoPiccolo joined Harmonix in 1998 after working at Looking Glass studios–which ceased operation in 2000–where he was creative director for Thief: The Dark Project. He has also been the creative director for Frequency, Amplitude, Guitar Hero, and Rock Band and is currently the creative director for Rock Band VR.